When all the dramas of this season are just of time slips, switching of bodies and of course love between a main couple, it’s nice to have a drama about friendship (and love of course). Well, if i had to put this drama under a genre, it would be really difficult. To me, this show, if it had more episodes, could almost be a sit-com kind of show. To put it simply, it’s an in-between of sorts, because it touches on many topics. First of all, we basically have four couples (not forgetting that all four guys are best friends since they were 18).. and one high schooler. The first couple would be Se ra – Tae San, their story is probably the most normal one out of the 4; at first guy likes girl because she’s hot and girl like guy because he’s rich, when they end up falling for each other for real, marriage (the matter of ‘i do’ or ‘i do not’) becomes another obstacle. The second couple which feels most like the main couple is Yi Soo – Do Jin couple. Architect/womaniser/problematic guy meets ethics teacher/baseball umpire/likes Tae San results in a whole string of dramatic and quite hilarious events before they eventually come together (but i doubt that’s the end of it). The third couple, which most people probably want to see together would be the Mea Ri – Yoon couple. This couple touches on the subject of age gap because the guy is much older than the girl, not to mention, already widowed (and one of the best friend of her brother – Tae San, which obviously won’t approve of an older guy for his cute sister). The last couple is already married and always on the verge of a divorce, Min Sook – Jeong Rok couple. Jeong Rok is a womaniser who is younger than his wife, while the wife is a scary but extremely rich woman. Though she appears cold on the outside, we always see how she’s actually not that strong and just wants stability from Jeong Rok, which he obviously cannot give. There are a good many hilarious scenes involving this couple and his other 4 best friends. The highschooler… well, we’re not exactly sure where he fits into the picture, but he hints that out of the 4 guys, one of them may be his father. (Maybe it’ll just end with finding out that he knocked on all 4 wrong doors, because i can’t imagine any of our couples coming to an end, i hope not at least). I must say i pretty much love the four guys though most female viewers might have a softer heart for Yoon, acted by Kim Min Jong, because of his sweet ahjussi image and his good looks at that age. His acting is pretty convincing and though he pretty much maintains a wiser, more serious image compared to the others throughout the show, we get a glimpse of his other many different sides which can be hilarious at times. How can you not love a character that is consistent but breaks out into unexpected, sometimes funny, reactions sometimes. Do Jin, i suspect, is more likable because he seems like the main guy in the show. Jang Dong Gun, having many movies under his belt, doesn’t disappoint with his acting. He displays he’s character’s cold and cool side while showing us a more childish side of him with ease. We get some laughs out of his entices when trying to woo Yi Soo. Jeong Rok is just lovable like that. The guy is hilarious and he makes up for the light-hearted part of the show; always running away when he’s with his friends to meet some woman so they can be his alibi. Jokes. The only thing that makes his likability go down is probably because he makes Min Sook sad. 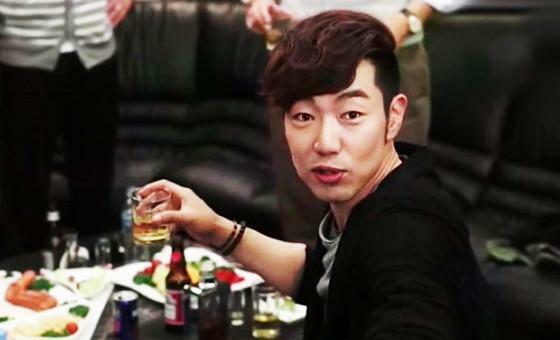 Lee Jong Hyuk’s expressions are priceless and really makes us laugh. Even though Yi Soo is the main character, i think her character has a split personality disorder. When she had an issue with Do Jin, which involved her trying to ‘beg’ for his help on settlement of a small case of her students beating him up (yup, beating him up), she always went from apologetic to indifference in a matter of seconds. Huh? So are you trying to ask for help or not? It was difficult to hate her in the end because she’s portrayed as the main actress, though i still prefer the bubbly Mea Ri. The idol of this drama would be CNBlue’s Lee Jong Hyun (singer and guitarist). I respect the guy for his music (and his good looks) but his acting… Well, i’m not yet sure if it’s really the fault of his character or him per say. He plays the highschooler (yet to be confirmed) that suspects one of the 4 guys to be his biological dad. His character seems to be the cool type or should i say rebellious teenager. So far the character or his acting isn’t horrid per say, it’s more like the emotions he shows are still shallow and only surface so far, we’ll have to see how he fairs when his side of the story is brought to more attention. Overall, the show is pretty light-hearted, no overwhelming emotion to kill anyone in the show or cry your eyes out. The background of the show is always lovely (even the construction site, haha) partly because it’s mainly filmed in Gangnam, one of the richer district in Seoul. There a couple of places that we see throughout the show, because they belong to Jeong Rok (Min Sook actually) and it’s where the guys always hang out. The show always starts with a scene with just the four friends in a pretty funny situation from little things like them in the bathroom together to they going camping together, which brings up some laughter. For me, even though this show touches on many topics, i pretty much watch this show for the 4 guys together, because they just have so much good chemistry (Bro-mance). It’s nice to stay away from heart-breaking, love-telling shows once in a while for some Bro-mance.